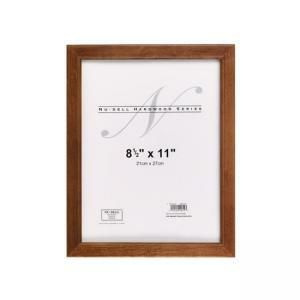 Elegant all-purpose frame can be used on a desk or wall. The hinged easel back allows frame to stand either vertically or horizontally on a desk. Frame includes a metal sawtooth hanger for wall display and a shatterproof protective plastic cover.